As January progresses past New Year’s and the month of February approaches, our attention begins to turn to the next holiday: Valentine’s Day! Most people associate the spirit of the day with romantic and sexual love, so when we think about giving gifts on Valentine’s Day, we have a tendency to focus on things that are associated with passion and indulgence. And that’s what I’m going to spotlight today when I share with you my classic “themes of love” Valentine’s Day gift basket ideas. Fruits embody sensuality. First, fruits are actually “ovaries” that develop around fertilized seeds after the reproductive process of pollination. Second, think about the words we use to describe fruit: sweet, fleshy, juicy, succulent, luscious, ripe, and tender to name a few. Third, the way we eat fruit can be pretty sensuous to experience and to observe. It doesn’t take much imagination to see the sexiness in all that! Finally, certain fruits are believed to possess properties of an aphrodisiac. For example, the apple is a notorious symbol of temptation since Biblical times, and in Greek mythology, the lure of eating pomegranate seeds was too much for poor Persephone to deny and thus she sealed her own fate to live below the earth’s surface in Hades. To learn more about other “fruits of love”, refer to our popular blog from February 2014 written with knowledge and affection by our own Matthew J! The red rose is a classic symbol of love. When you send red roses, the meaning of your missive is unambiguous! Many of our Valentine’s Day gift baskets are paired with red roses for that very reason. 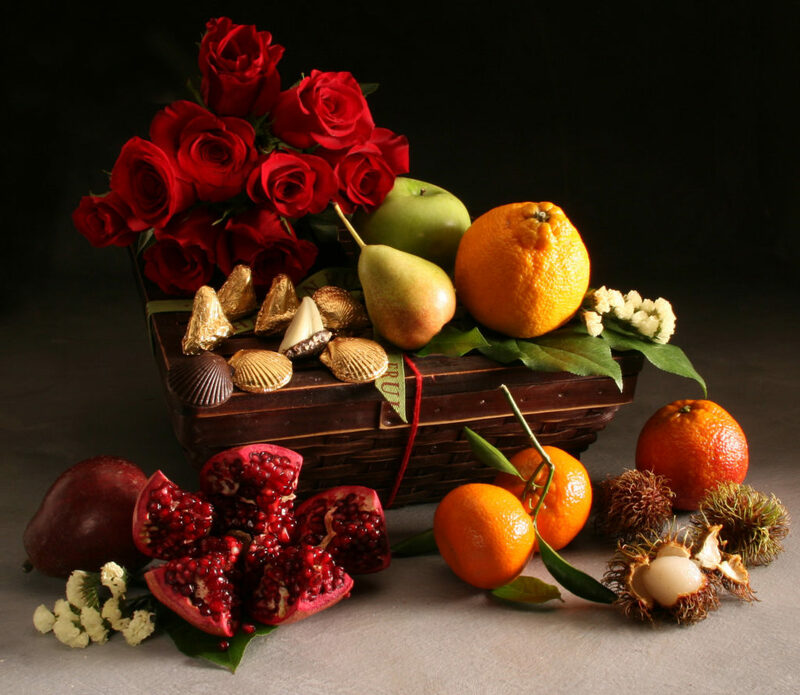 A fresh fruit basket or a box of chocolates suddenly takes on a whole new implication once we add red roses to the gift. 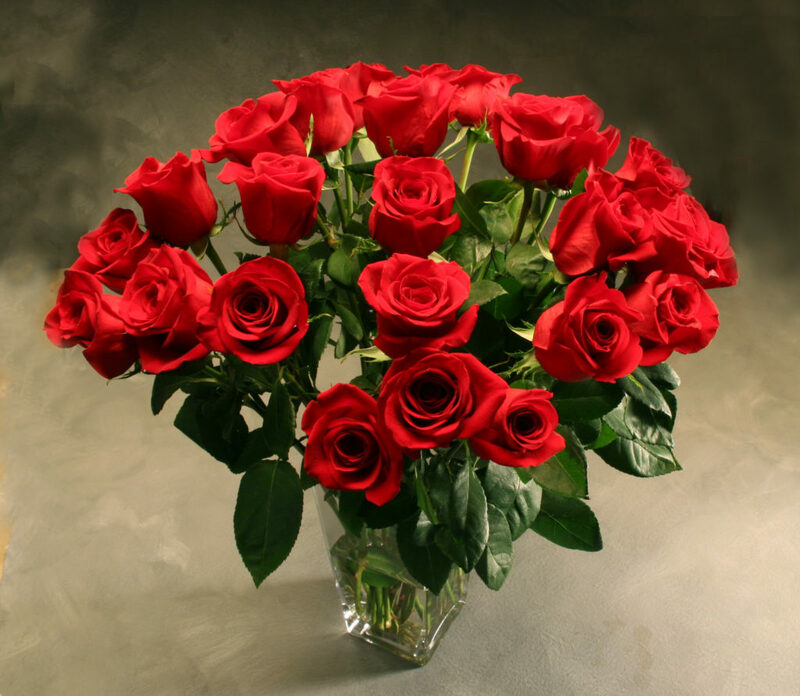 We order well over a thousand long stemmed red roses for Valentine’s Day every year! We actually start looking at the roses much earlier, around the middle of January. We purchase several varieties from different farms and we experiment with them to find the best performer. We want to learn how fast they bloom, how big they open, and how long they last. We want the roses you send to open in a wildly flirtatious way and look good even as they are fading! This year, we have selected a red rose called “Freedom”. If you are looking for Valentine’s Day gift basket ideas that include red roses, ours will be available on February 12th, the Monday before the holiday. 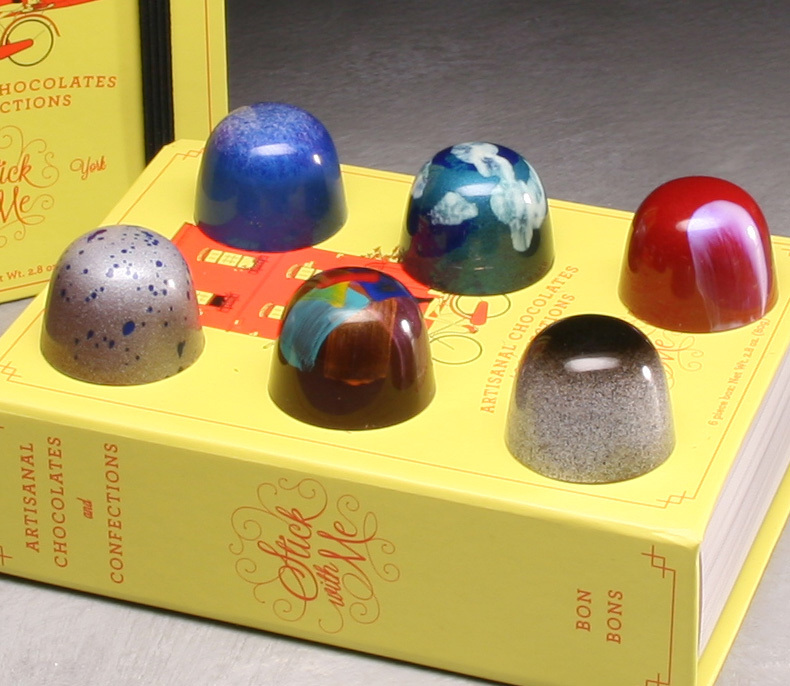 Chocolates have also become rather de rigueur in Valentine’s Day gift baskets for him or for her. Chocolates and their creamy sweetness represent indulgence and Valentine’s Day is a perfect time to pamper your sweetheart with treats of all kinds. Chocolate-covered strawberries are ubiquitous this time of year. For the best options, look for smaller strawberries as they are the tastiest. Some even come with their green tops still on for extra charm. Harder to find is a strawberry dipped in real, premium chocolate, like Valhrona. 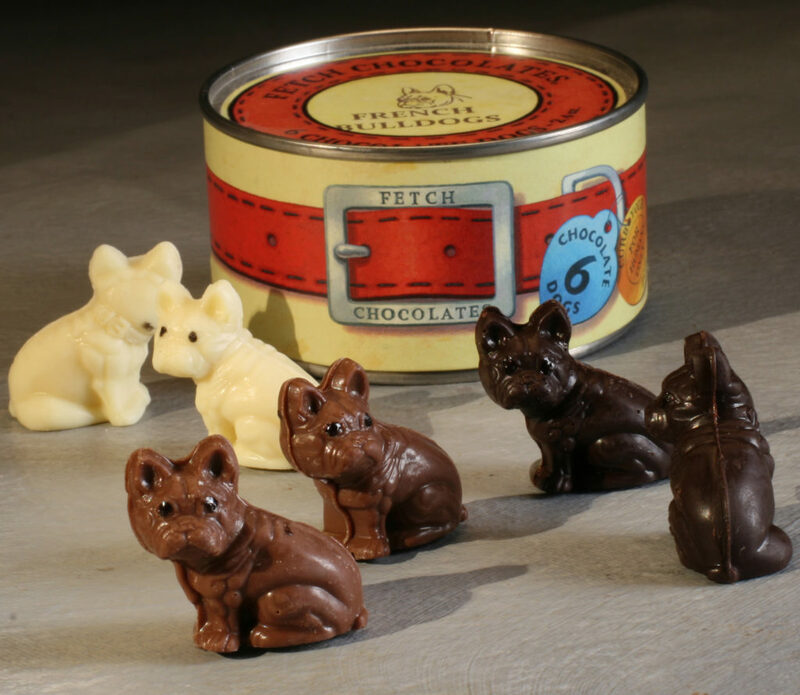 Most “chocolate” that is used is completely fake, and although it may look like chocolate, it doesn’t taste like chocolate. This may be the year when you want to express your ardor in a monumental way: go for it! Think sumptuous and extravagant. Create a feast of love with an intimate tableau in your own living room (or bedroom). You can do it yourself, or let us do it for you. 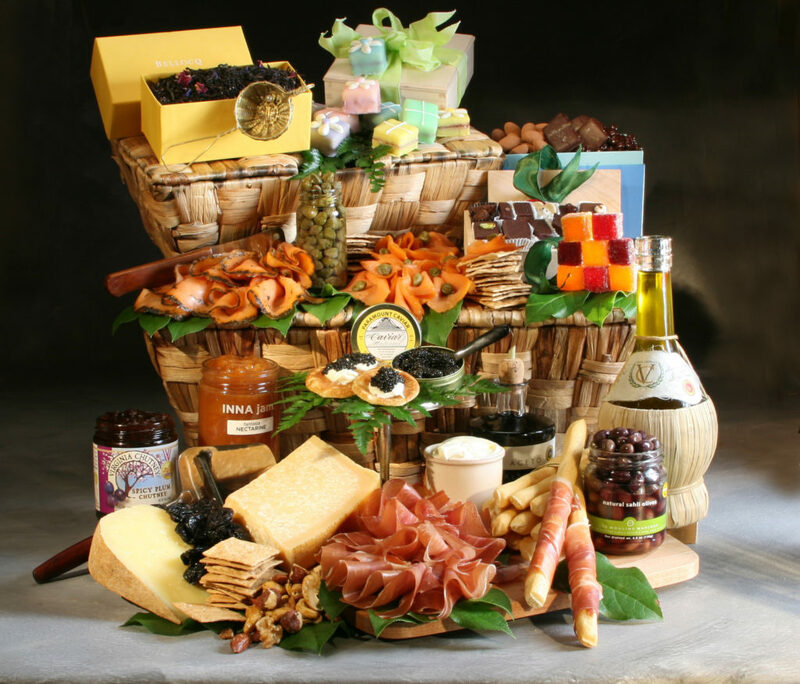 Our luxe and deluxe Epicurean Hamper will tempt with delicate delectables from appetizers to dessert. 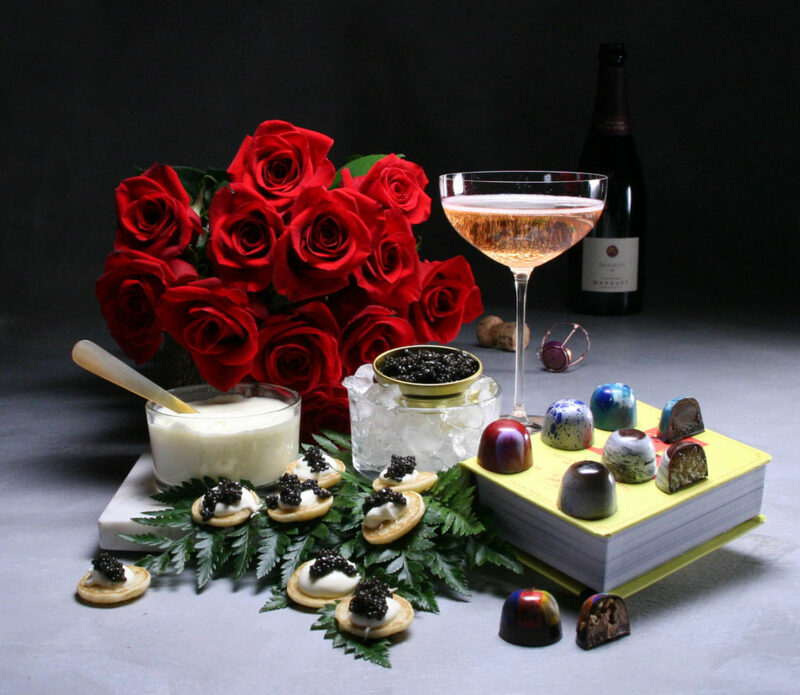 Consider having it delivered with caviar and champagne to amp up the passion even more. Or perhaps you’d prefer to send our “Lavish Love”: a new Valentine’s Day gift basket idea that we developed for 2018. The name says it all! We set the stage with champagne, chocolates, caviar and red roses, and you provide the rest for a perfect romantic experience. Whether you create your own “themes of love” gift baskets, or choose to send one of ours, don’t be sexist in your thinking about this holiday! Traditionally, Valentine’s Day gifts tend to be for her, but men like getting Valentine’s Day surprises too. Our romantic selections make great Valentine’s Day gift baskets for him as well!